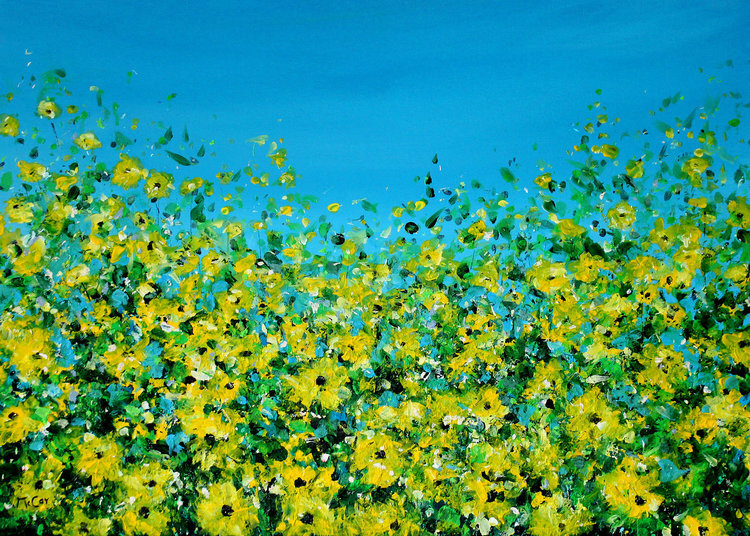 Kirstin McCoy is an Irish-born, France-based painter whose picturesque country surroundings never fail to inspire her. From fresh pastries to silent workspaces to serene outdoor settings, a work of art is never far away. Discover how she fell into art, works with it daily and looks forward to a future influenced by it. Good morning, Kirstin! What’s the first thing you do when you wake up in the morning? I go for a walk with Rocky, my wonderful little pug. We are usually out at daybreak as the sun rises over the village rooftops. Then after visiting the local boulangerie for some fresh croissants, it’s time for breakfast. After this, I’m ready to do some art! What inspires you to create everyday? The natural world provides an endless source of ideas for me. From a tiny flower or butterfly to a vast open landscape, seascape, skyscape… everything informs and inspires me. Colours constantly changing in different light or seasons also spark ideas. Although I live in a rural location I also enjoy visiting cities, and often sketch and paint on site, capturing different aspects of city life. A peek at Kirstin McCoy’s studio. My atelier is on the top floor of my ancient house and overlooks the village rooftops. My house, with wild Jasmine growing over the entrance door, is situated in a quiet rural village in the South of France, not far from the Mediterranean Sea. The area has been inhabited since pre-historic times and the Celts, Greeks and Romans all made it their home. The old Roman road “Via Domitia” runs through the village, as does an old Santiago de Compostela Pilgrimage route. For many it has been, and still is, considered as the ideal place for contemplation. 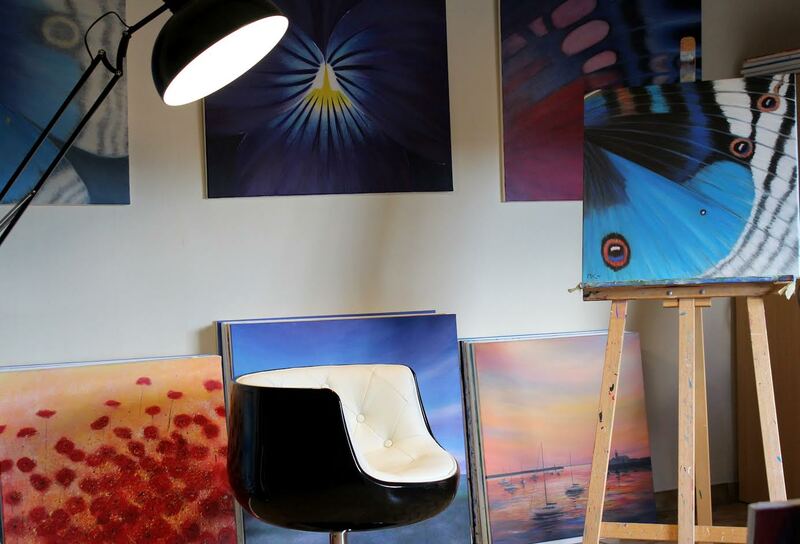 My atelier is a wonderful light-filled space with a high ceiling – perfect to paint in. It is accessed by an old spiral stone stairway. The only sounds are the birds and the church bells, the latter being useful to keep track of the time! I feel lucky to be in such an inspiring place. Great light, top quality paints and materials, and no noise! Kirstin McCoy, ‘Sunflowers’ 2018. 50cmx70cm, Oil on canvas. I have always enjoyed drawing and painting, as far back as I can remember. I also travelled and visited many top Galleries and Museums in London, New York, Paris and Dublin etc., which also encouraged my interest. Since graduating from college, art has become a full-time passion for me. I exhibit nationally and internationally and feel privileged to have my art bought by collectors worldwide. What do you do to unwind after a day’s work? I enjoy a long walk in the countryside. As it’s the end of the day, I often catch the spectacular colours of sunset over the distant mountains, which is always very inspiring. 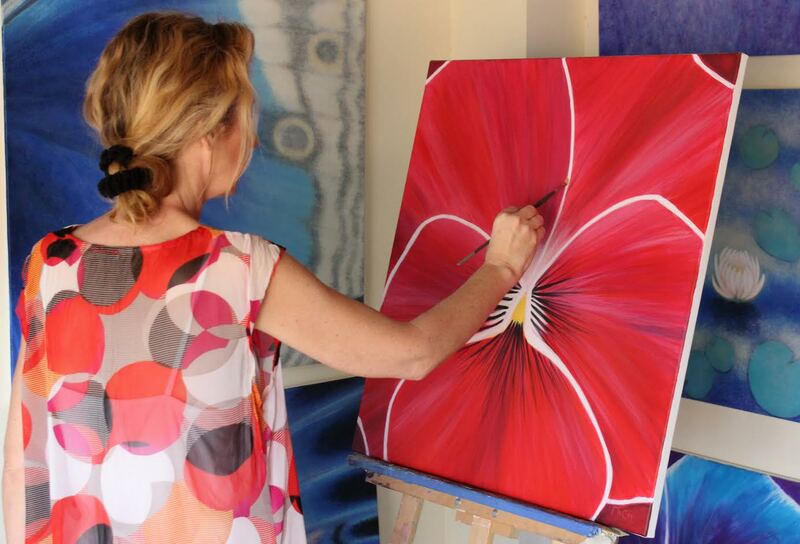 Kirstin mcCoy at work on one of her paintings. For me, creating Art is almost like a form of meditation. It’s an essential part of my day. As well as painting in my atelier (art studio) I also love to paint en plein air. 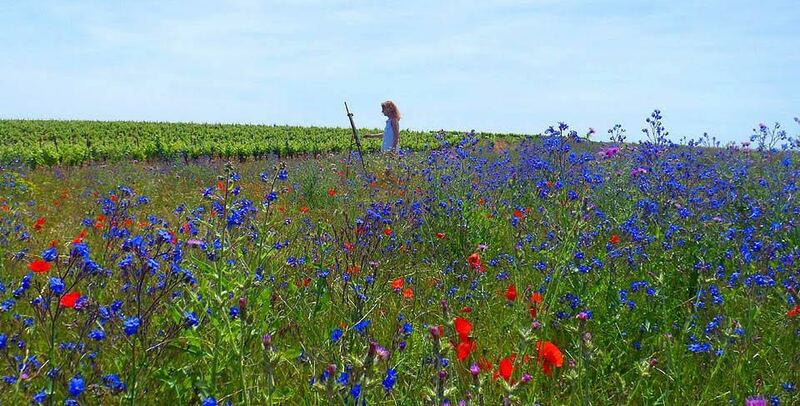 I live in a beautiful rural village in a countryside location with superb tree-lined river walks, vast vineyards, vibrant fields of sunflowers, lavenders, poppies and many other wildflowers. This allows me to really explore the colours, feelings and energy of the world around me. 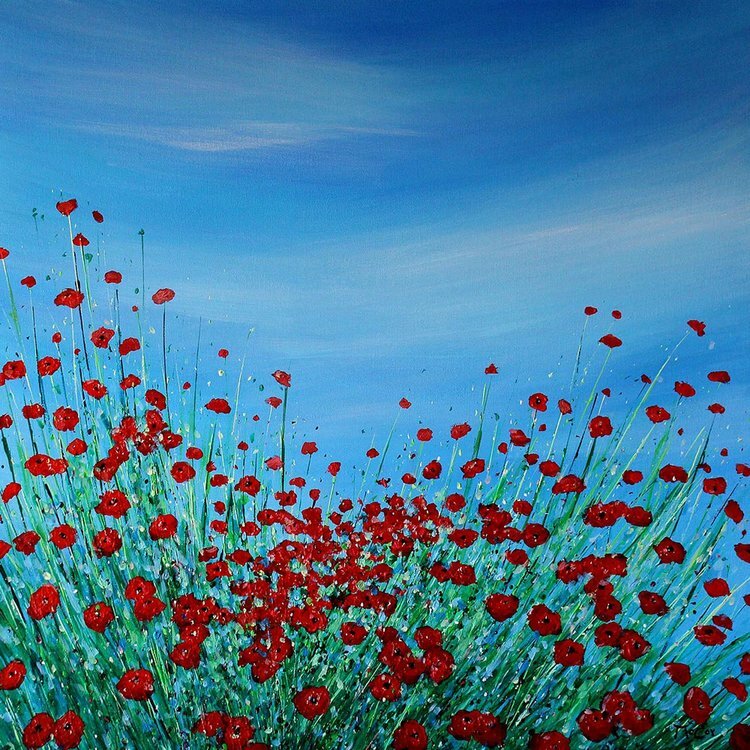 Kirstin McCoy, ‘Poppy Meadow’ 2017. 70cmx70cm, oil on canvas. Take a look at Kirstin’s artist page here!